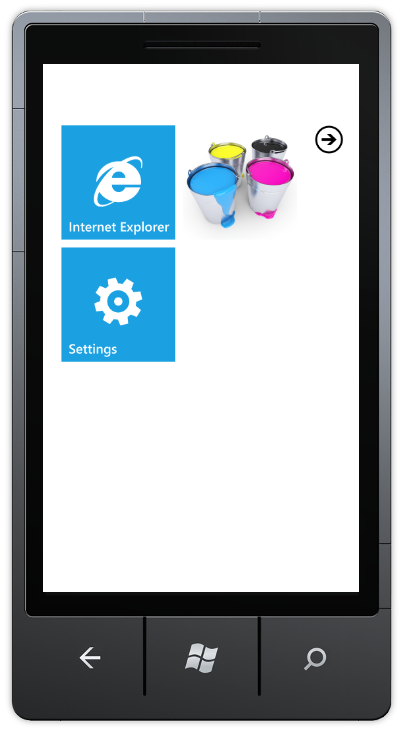 fingerpaint is a little wp7 based paint app that I made for fun in 2 hours earlier today. It’s just a ‘proof of concept’ app, it’s nothing for the marketplace. 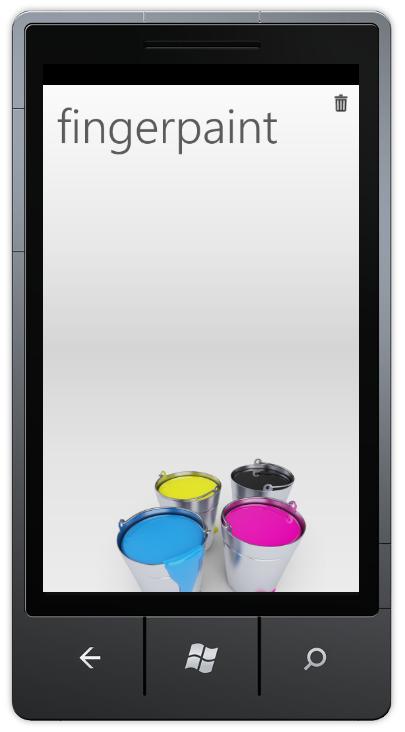 You paint by dragging your fingers over the screen and you change color by “dipping your fingers in the paint buckets”. The app listens to the ‘MouseMove’-event and tracks you’re fingers position and add’s line-objects to a canvas control. To make it possible to change color by “dipping your fingers in the paint buckets” I’ve added a transparent ellipse control on top of every “paint bucket’, and connected up the ‘MouseLeftButtonDown’ event. Check out the source code below. Little code, cool concept. Who has thought about dipping of fingers in a paintbucket as colorchooser! This will be a fun app for my kids on 1,5 and 3,5 years and others kids as well I guess. This is a cool concept. Just add a few more features and you can make some money! 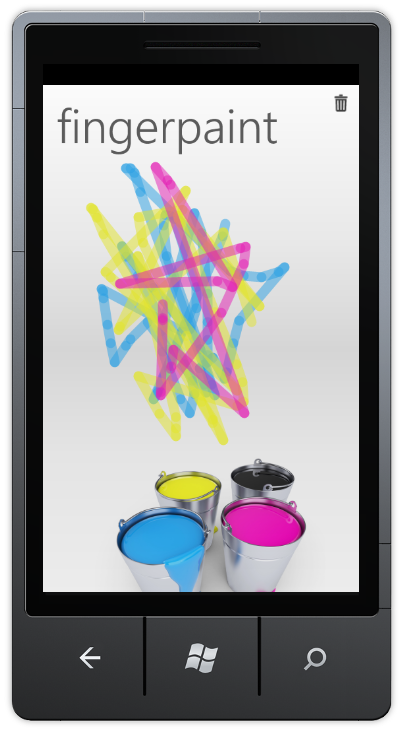 My little kids love to play with the iPhone App Pollock. So this would be an instant buy. Dipping your fingers in paint bucket is cool. Like to see more like this. I have read so many articles or reviews about the blogger lovers but this piece of writing is really a good piece of writing, keep it up. of clever work and coverage! Keep up the great works guys I’ve incorporated you guys to my blogroll. The entire look of your website is excellent, as neatly as the content material! I’m afraid we don’t have the same opinion but our point of view on the topic is unique. Whhat kind of research work do you do when writing posts like this? "fingerpaint – a little wp7 paint app" was written October 20th, 2010	by sigurdsnorteland, and filed under WP7 and tagged WP7.